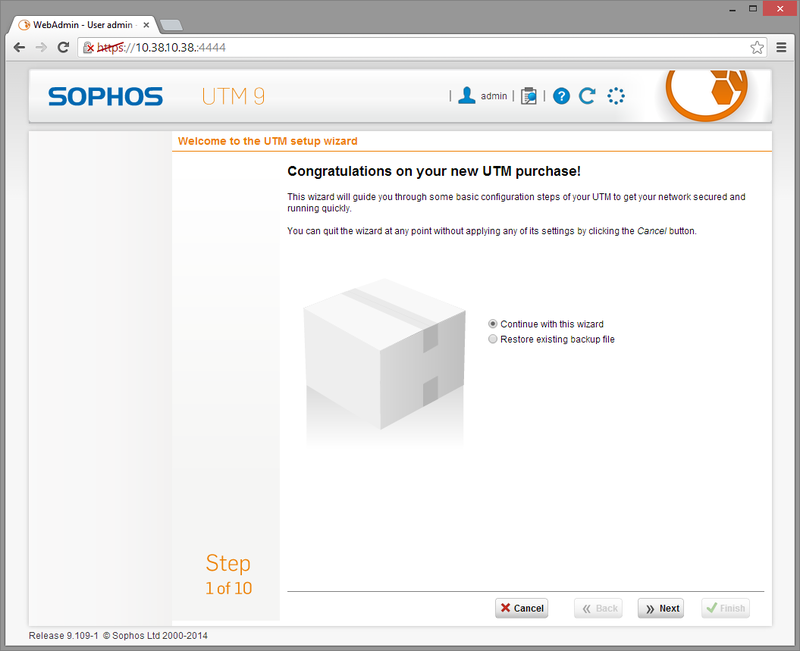 Sophos UTM is very versatile when it comes to the deployment options available to you. 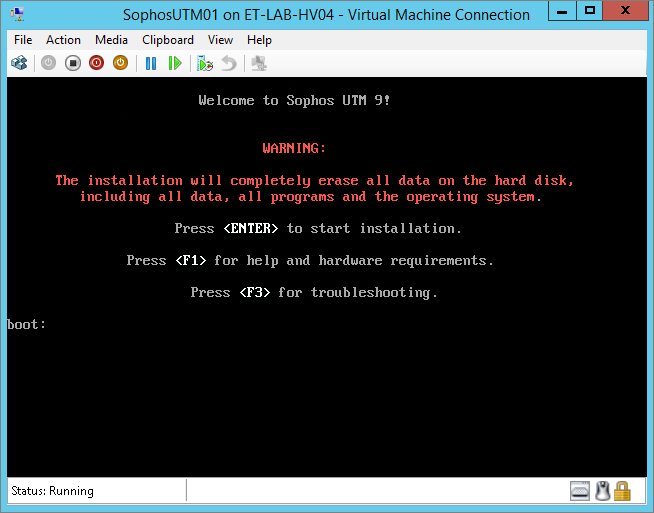 You can purchase a physical hardware appliance, or deploy a virtual appliance on your own hardware, usually via VMWare or Hyper-V.
Ths guide takes you through all the steps necessary to Sophos UTM on Hyper-V.
Start by downloading the Sophos UTM ISO image as this may take some time to complete, and you can perform step 2 below while you wait. 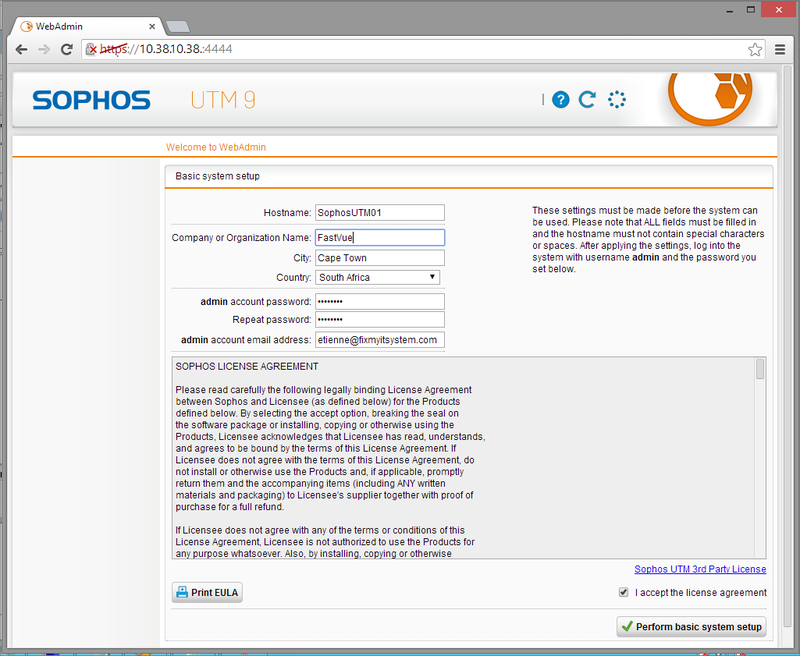 Follow the download process and Sophos will email you a license key and grant you access to the downloads. You will need this key, in the form of a license file, to complete the setup. This guide uses a Windows Server 2012 R2 host. The Hyper-V host is configured with two NICs. One will be patched directly into a DSL router. The other is patched into the internal corporate network. Two virtual switches need to be created. If you have a look at the Hyper-V hosts you should now see three adapters. Two network adapters that are the switches, and an additional adapter called “vEthernet” which is the host’s connection to the Internal – Corporate Switch. Make sure these settings are correct in relation to your domain. Make a note of the IP address and Port as you will use this from your browser to access the Web Admin interface moving forward. This completes the build section. If you are using a virtual machine this is a good place to take a snapshot or create a checkpoint. 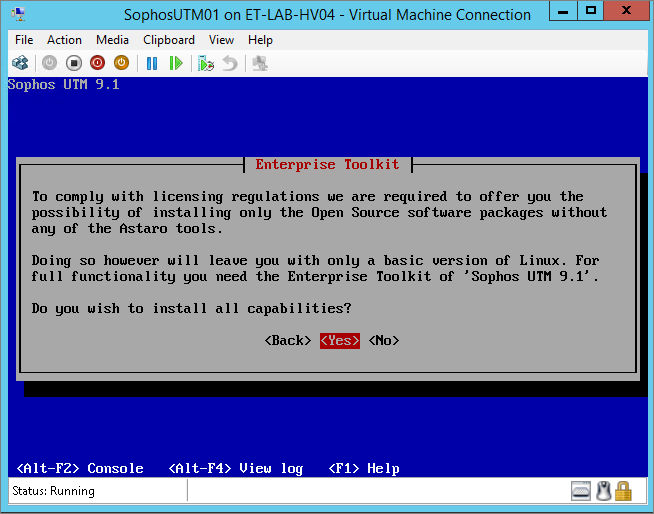 You are now ready to start up your UTM for the first time. If you are still viewing this process from the console window you will see the following when the machine restarts. It simply show this white screen while it boots. Pressing F2 will show you the boot up details. If all the steps have been completed successfully, there should be no errors during start-up. In case you missed it, the web admin URL is listed at the bottom of the screen. 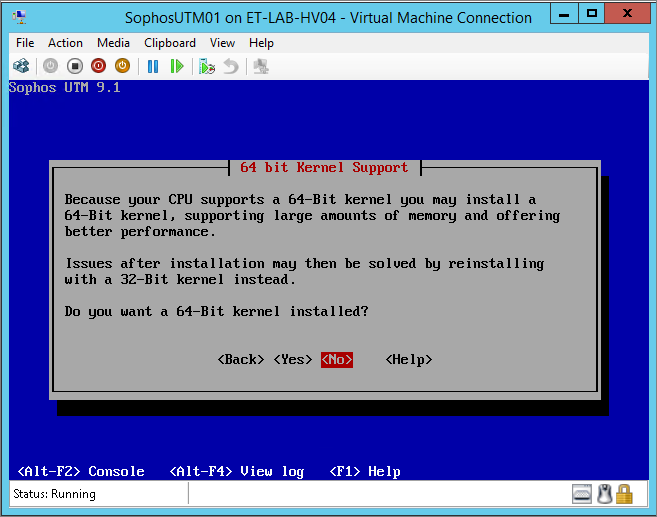 From now on you will stop using the console to work directly on the virtual machine. According to my source at Sophos, one of the UTM design goals is to never require an administrator to use anything other than the web interface. Open your favourite browser and connect to the specified management URL. Note that the admin email account will be the default account used for notification from the UTM. It is a good idea to specify a notification email address especially if you are just doing a test or trial deployment. 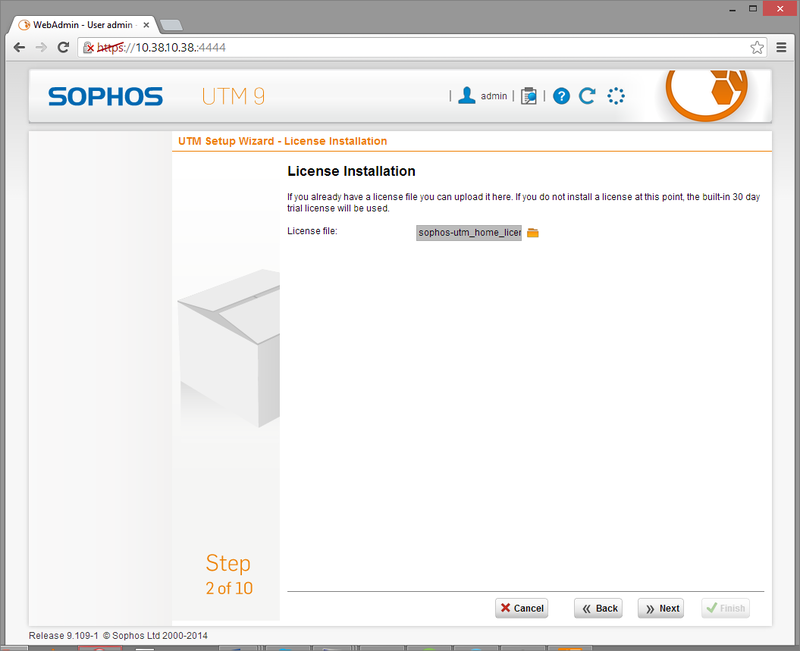 Check your mailbox for the attached license file from Sophos. Here you specify the internal IP address of the UTM device as well as the subnet. 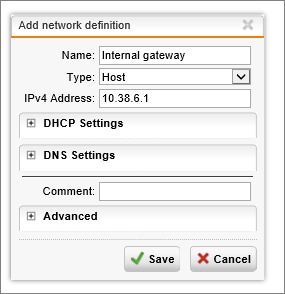 Only if you do not already have DHCP enabled should you check the Enable DHCP server box. Selecting the Internet Uplink will be determined by the kind of internet connection available. In this setup, I have a DSL connection with fixed public IP address. To make it easier to check that your UTM is up and running, enable the ping options. These can be turned off later. It is a good idea to also filter additional categories to make it easier to test your deployment. You want to be able to access websites through the proxy but also know that it will filter URLs correctly. These can always be changed afterwards. Click Finish to complete this section. By this stage you should have a proxy that works fine for everything on its own internal subnet. If you have a small network deployment that only has one subnet you can skip this step. To allow clients from other subnets to also be able to connect and use the proxy, you need to add a static route to all internal traffic correctly though the internal interface. Routing basics: A machine can only have one default route. If the machine does not know where to route traffic, it will use that route. 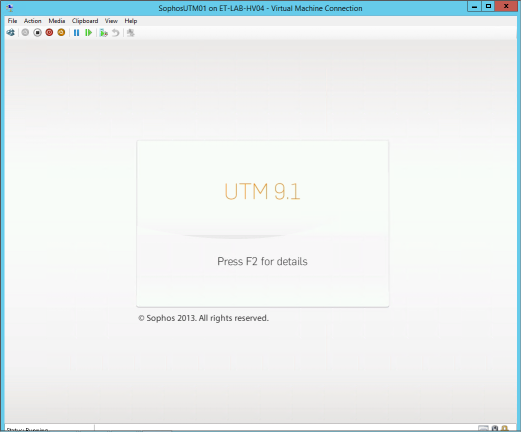 Since the UTM has two interfaces, one will be the default. This is always the external interface because it routes everything to the internet. Once this is configured, the internal traffic should now route correctly though the internal interface. Your static routing settings should now look like the following image. You can use the support tools to check ping and trace route (tracrt). The next thing that needs to happen is that the proxy functionality needs to be configured. 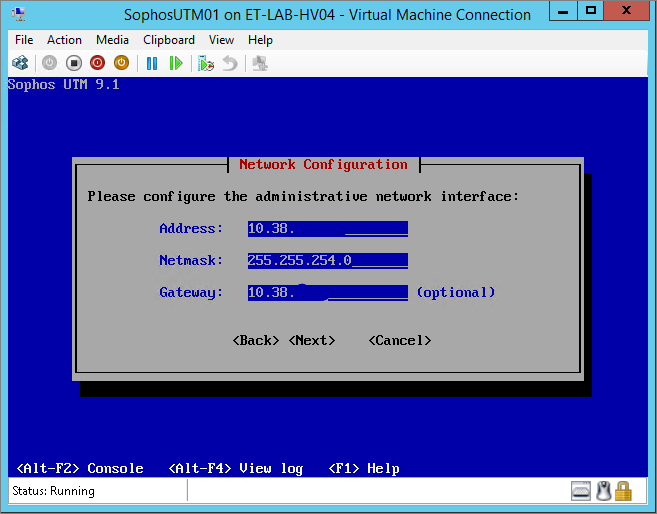 By default the allowed Network only includes the subnet that the UTM is on. 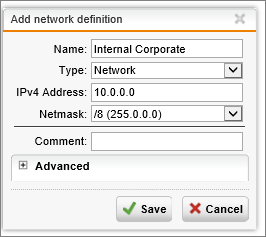 Select and drag the Internal Corporate Network object we created earlier into the Allowed networks Box. To use the UTM, you need to configure your browser’s proxy settings. You should be able to surf the Internet from anywhere within your corporate network. URL filtering should also prevent you from accessing sites blocked according to the specified categories. 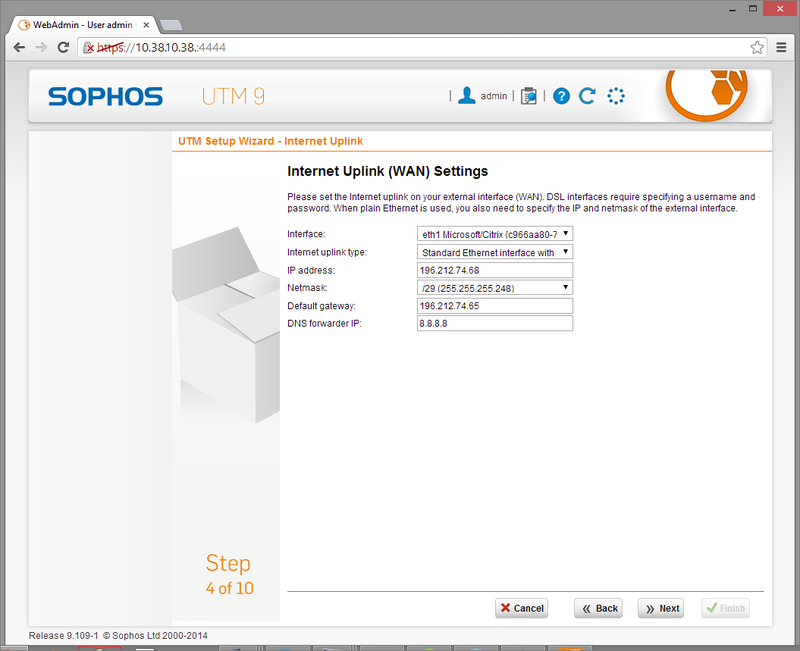 With your Sophos UTM now configured, it is another great time to take a snapshot of your VM. With the Web Filtering feature enabled, you now also have a great way of reporting on outbound web access across your organization using Fastvue Sophos Reporter. Just install Sophos Reporter on a new server or VM, add the new server as a syslog server in Logging and Reporting | Log Settings, and select the Web Filtering logs. 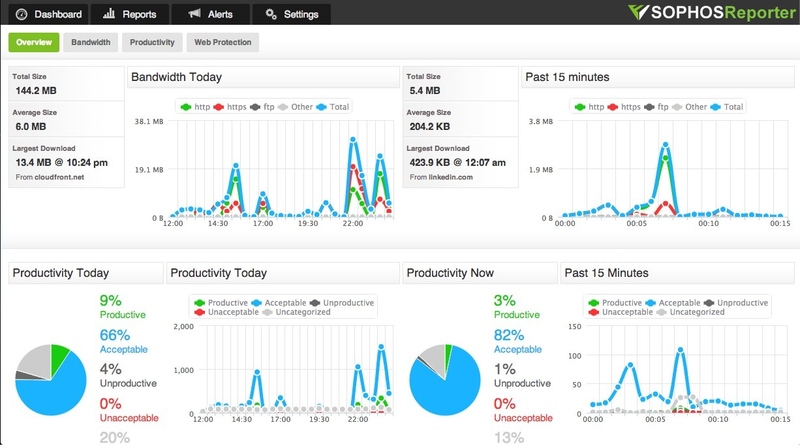 You’ll start seeing your real time web traffic in a range of dashboards, be able to run detailed Overview and Activity Reports, and configure custom alerts. Check out the Getting Started guide for more information. 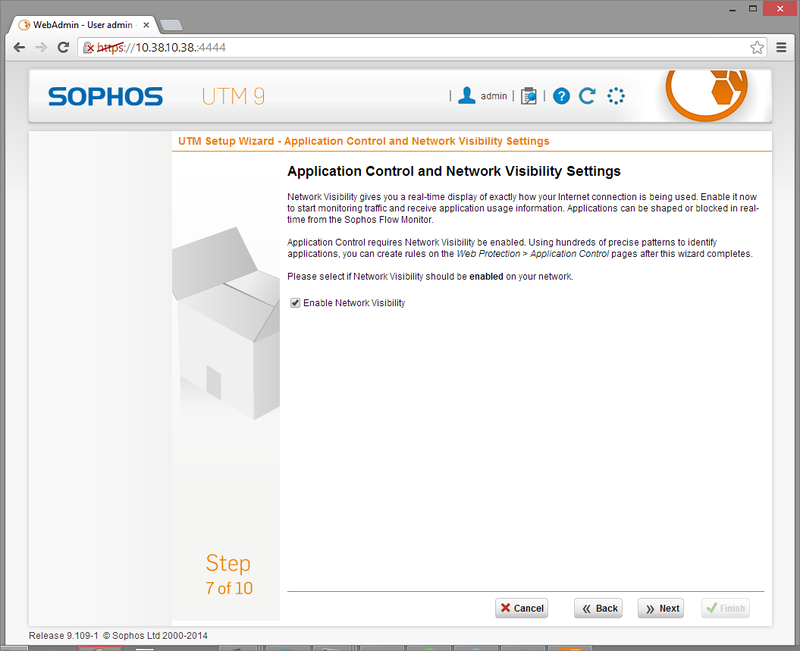 If you have followed through the guide above, you should now have a fully functional Sophos UTM up and running, and you can start playing with all the other great features such as Application Control, IPS, Remote Access, Web Application Firewall and more. 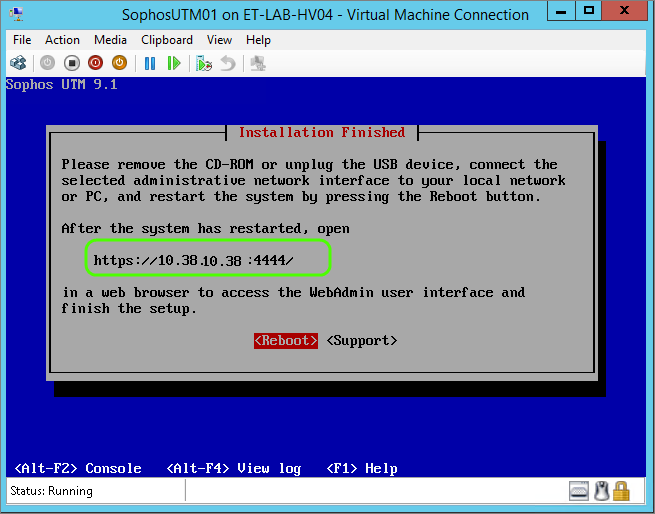 I hope you have found this guide useful for getting your Sophos UTM basic configuration up and running. If you ran into any issues, please let me know in the comments! Hi Etienne, I think you may have made an error with the Hyper V network setup above. Should it not be ” the internal switch is facing internal therefore connection type is Internal (not external). thanks for the great post. Thanks for raising that question. 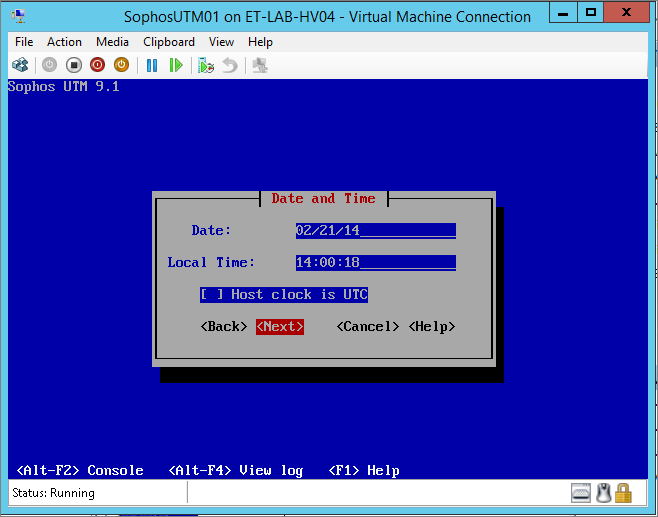 The terminology for the switch type is from Hyper-V. There are three kinds of switch types. These refer to connection that connect to an actual physical network adapter on the host. This would give access to network external to the host. This refers to a switch that can be share by virtual machines inside the host. One VM could network to another without physically breaking out of the host. Similar to internal but isolated. I am not sure what you are trying to accomplish here. Because there are both a physical and virtual switch in play here you need to specify where you are attempting to do what. I am going to take a guess here but hopefully it covers what you are after. 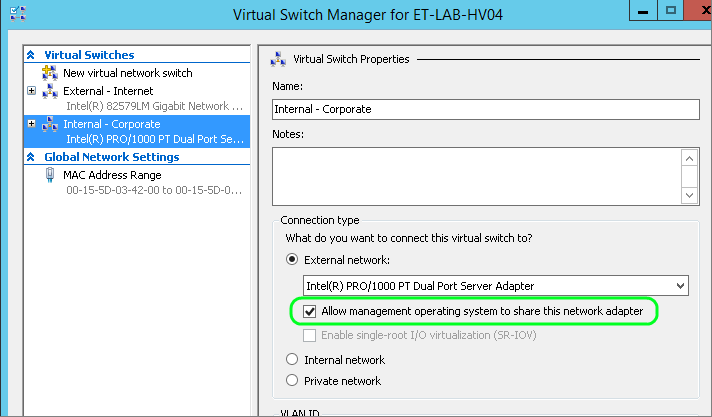 When a Hyper-V host’s physical NIC is attached to a Virtual Switch it changes the mode from access to trunk. Access mode only allows for a single vlan to be used, as such it does not have to be tagged. If you can explain what your requirement is and what your network constraints are I can hopefully give you a better answer. 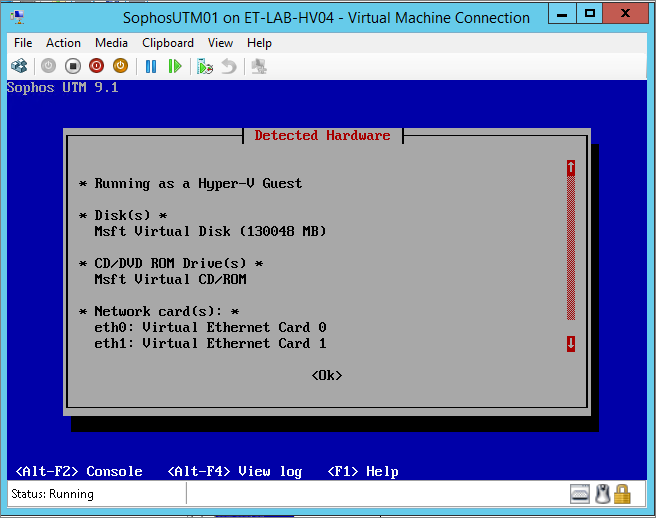 For me Sophos on Hyper-V have network issues. I have tried using both normal adapter and legacy adapter but didn’t work. Is there any advice to see what’s wrong and why I can’t reach or ping the network ? I have tried formatting the machine 3 times to no avail. You need to go to the advanced properties of the network adapter and enable MAC address spoofing. This is normally the issue with this sort of problem. 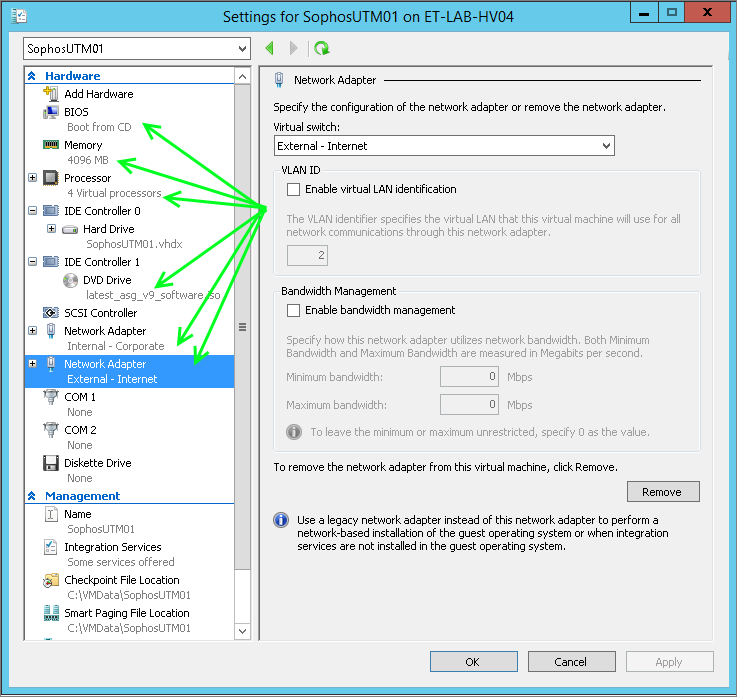 The other bit to check is that you have the correct vlan’s assigned and tagged on the hyper-v interface. 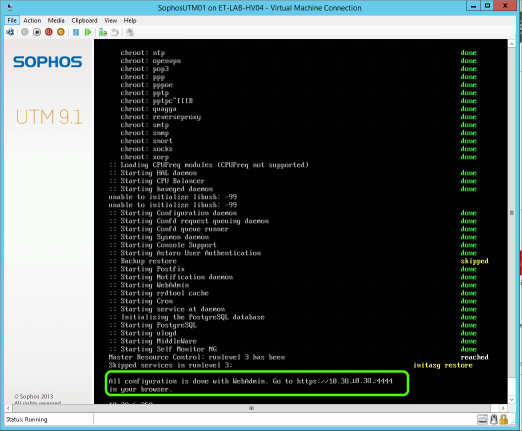 You can test if this is the cause by spinning up another VM and connecting it to a private network just between your test machine and the UTM. One last thing to try is to switch to using legacy network adapters on the UTM. after creating a new Switch and ENable SR-IOV, it seems to work better on my “outside network”. But it is not working how it should work. Great guide, thanks for publishing it. Just got stuck on the 10.38.x.x network for the internal nw. What functions as the gateway for this network? I’m not able to access this from my hyper-v host. I thought the Internal – Corporate would act as a virtual switch and have the ip span covering 10.38.x.x, but I cant see any way for this. So i have a comment, i added a dual port nic just for this, but my server already has a another dualport that i was using before for the vms. Do i assign the Internal – Corportate for my VMs or do i run that out to my switch and then back into my old nic? How to do set DNAT , is not works for me . 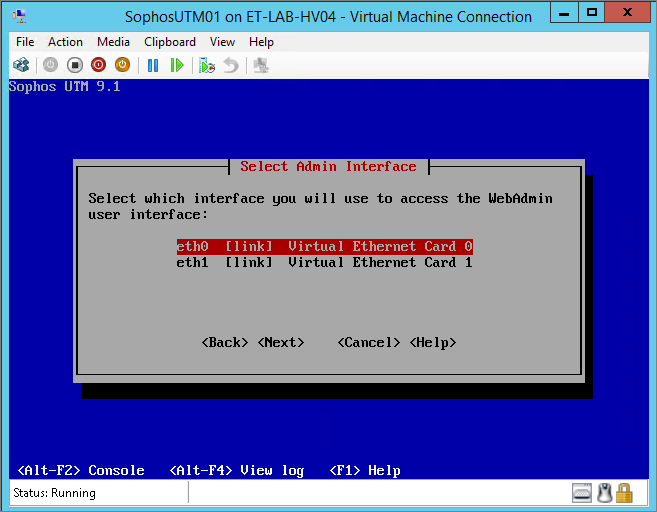 Can the Sophos UTM act a reverse proxy for Oracle E-Business Suite using the Web Server Protection ? It depends on the Oracle deployment to some degree but yes it is possible and I have a done so for one of my clients.